Joseph Gorak and Stella Abrera in Cinderella. Photo: MIRA. 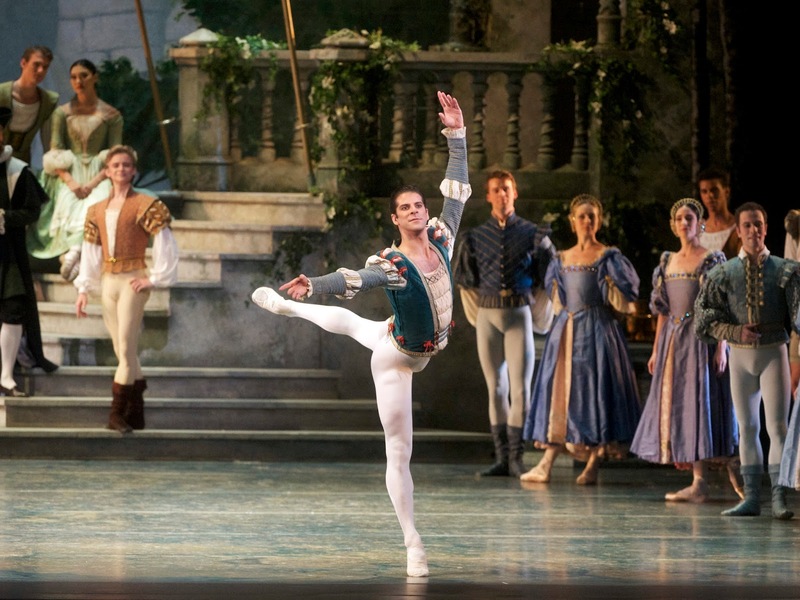 ABT's annual two-month Met season, was, as usual, largely about classic stories dramatized through ballet. But more so than in recent years, the season itself took on dramatic twists and turns that unfolded as the weeks passed. Injuries deprived audiences of David Hallberg (his absence months foreseen), but during the season, Polina Semionova and Natalia Osipova, among others. Strategic one-shot guest casting made viewing scheduling unusually difficult. Misty Copeland's promotion to principal marked the season's crescendo in the penultimate week, whipping into a frenzy not only ballet fans, but the popular media—sure to continue with the announcement that she will replace Megan Fairchild in On the Town on Broadway. 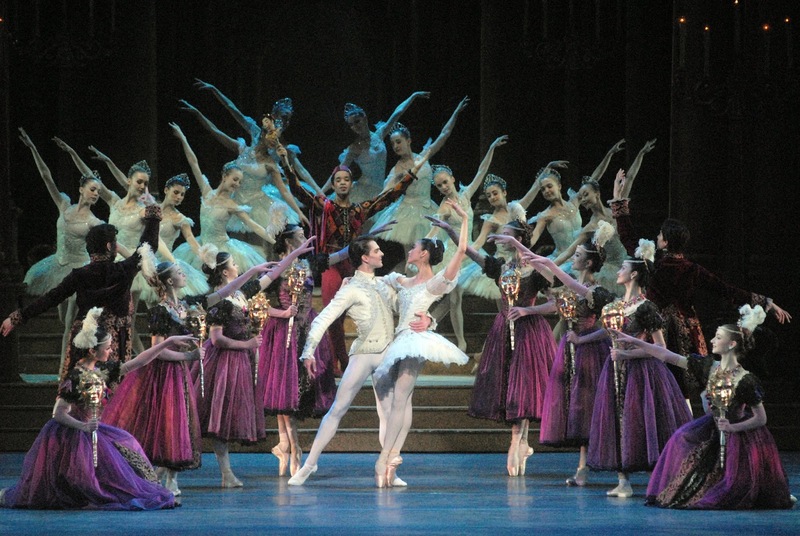 At last Saturday's Cinderella matinee, the other newly-minted principal, Stella Abrera, danced the lead role. Not to be overly ham-handed, but the fairy tale felt analogous to the real-life situation. Abrera has been with the company for nearly 20 years, and after working diligently in major supporting roles such as Myrtha and Lilac Fairy, emerged as the princess. The confidence that came with her promotion no doubt bolstered her strong performance, in which she seemed especially luminous. She has (as have most dancers) been through some injuries, which sap self-assurance and can imbue performances with tentativeness; hopefully healthy, she will continue to expand her confidence. She danced opposite Joseph Gorak, who is living proof of the emotional potential of technique done well, as he did a triple pirouette at a relatively slow tempo, and unfolded his raised leg in a développé that wafted in the air, weightless. In the finale, with sparkling mylar confetti raining down on the pair as they looked toward a bright future together, it felt like a version of the rags-to-riches story come true. It also underscored why we fans love ballet. It's not just the pretty tutus and sets, the technique, the romance and time-honored stories. It's the dancers we've followed for years, watching them grow, develop, mature, undergo hardships and injuries, and at savory moments such as these, triumph. Newly appointed soloists also proved Kevin McKenzie's wisdom in promoting, including Arron Scott, Skylar Brandt, Cassandra Trenary, and it-girl Misty Copeland dancing a fairy role, the kind of role that she'll most likely dance less and less. Soloist Devon Teuscher danced the lead fairy with a tender strength. Ballet fans get excited about new productions of the classics because they are the vehicles in which our favorite dancers get to shine, and (with any luck) they must withstand repeated viewings. Recently, Alex Ratmansky's The Sleeping Beauty, for ABT, became the latest major production to take flight, and it is successful enough to anticipate its return for many seasons to come, and not simply to amortize the steep production cost. 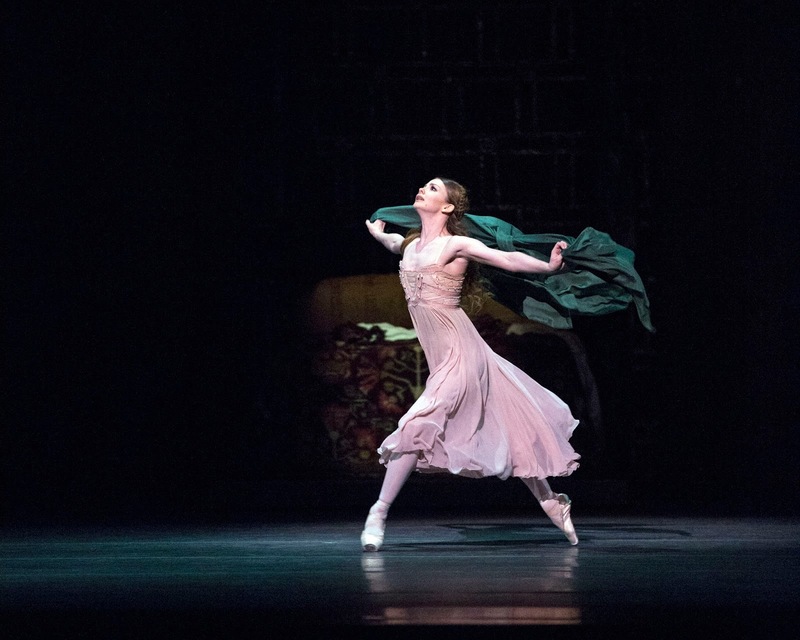 In Kenneth MacMillan's weathered but reliable version of Romeo & Juliet, one of the male stars of ABT, Herman Cornejo, danced recently with Evgenia Obraztsova, guesting from the Bolshoi. Given a ballerina with such an illustrious pedigree, but not having seen her previously, the few expectations I had were high, and she exceeded them. Of course her technique is impeccable, and she easily ranges between ingenue and wizened lover, which can be a stretch. She is a combination of delicacy and strength, and size-wise matched well with Cornejo, the most naturalistic and suave of ABT's men. I can imagine rehearsal time was minimal, which is one big drawback with the guest artist system, but they fared well no matter. ABT's Swan Lake is another well-trod production (by Petipa/Ivanov/McKenzie), which many find moth eaten. But I have affection for it, even for the silly stuffed swan prologue stand-in for Odette. It's a compact two acts, and no scene lasts too long, not the opening birthday celebration with a pas de trois and townsfolk dance, or the later scene containing international dances. The two pas de deux between Odette/Odile and the Prince remain the tentpoles of the ballet, plus a saucy solo for the human Von Rothbart, usually parceled out to a principal male. Many of the acts are fleshed out by the mesmerizing swan corps. And as always, Tchaikovsky's sublime score supports the ballet. At June 22's Swan Lake, starring Gillian Murphy and Marcelo Gomes, everything whirred and clicked into place. Murphy has long been perhaps the company's strongest woman technically speaking, but her persona has, oddly, contained so much confidence that expressing vulnerability can be a stretch for her. But here, she conveyed emotional fragility as Gomes enfolded her into his arms, while paying great attention to the dual role's array of delicate details. And naturally, as Odile, she was able to flash that terrific confidence, dazzling us and her prince in her fouette pirouettes, which alternated between triples and doubles with her arms in a V. Just when you thought you'd seen it all! At the end of the Act 3 pas, as she and Gomes snapped into place at the precise ending beat, so did the outstanding corps of swans. It was a rare moment of complete synchrony, and you felt that the collective years of all of the dancers onstage were coming to fruition. Gomes, of course, showed again why he's so beloved. Every moment onstage he IS Siegfried, so we read even the smallest thoughts as they flicker through his mind. He elicits the most from himself, his partner, and everyone around him, including us. At this point in his career, such roles as these are in his blood, so he is ever more free to interpret their nuances, pushing ever farther the parameters of the role.